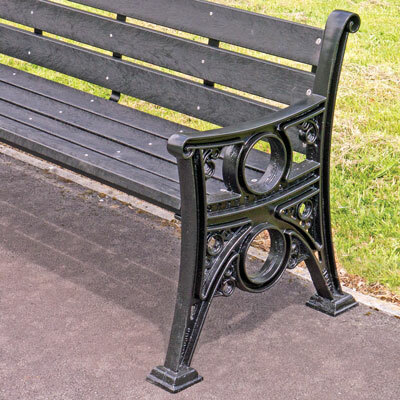 Our Georgian and Victorian designs are available with recycled plastic boards made from a range of waste plastics containing low and high density polyolefins. In certain circumstances, particularly if an accelerant such as petrol is used, this material may catch fire and burn. Both standard and heavy-duty versions are available. 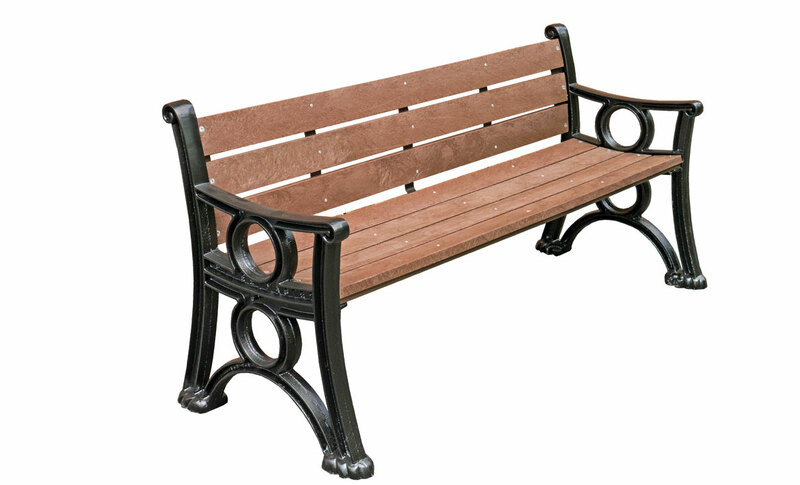 The heavy-duty versions have an identical specification to the standard versions, except for having grade 450/10 ductile iron castings. 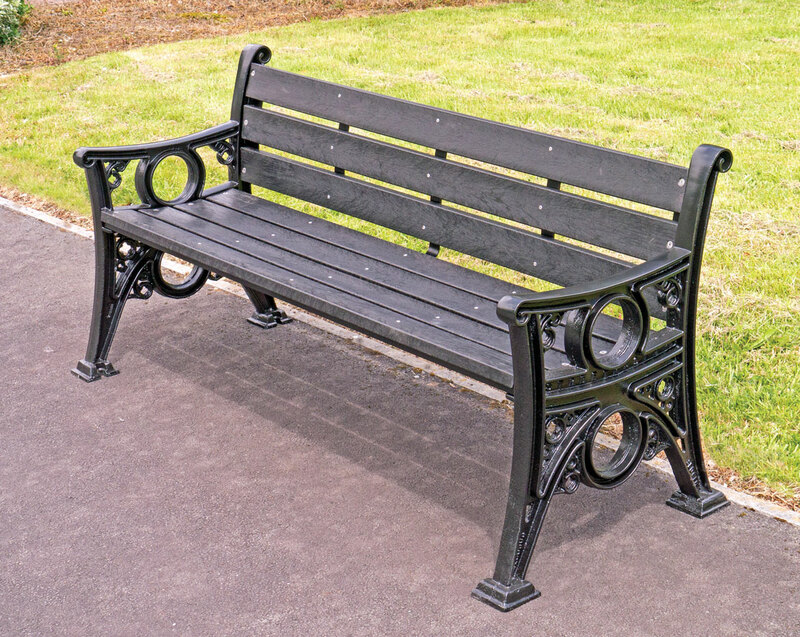 To obtain the necessary strength the boards are fully supported by an unobtrusive galvanised steel sub frame, finished in Street-Tough. 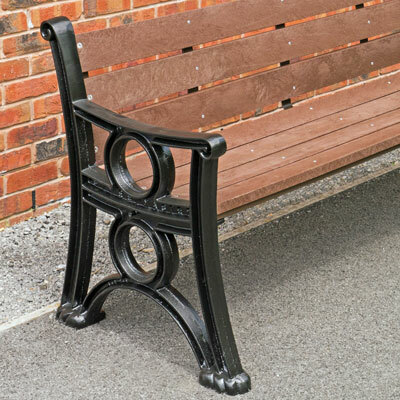 These seats can be used for commemorative purposes and supplied with a flush mounted stainless steel or cast bronze plaque, attached through the plastic and secured from the rear with tamper resistant fastenings.